On 1 July 2018, STP reporting was introduced for substantial employers (20 or more employees as at 1 April 2018). Under STP reporting, an employer reports information on their salaries and wages, PAYG withholding and superannuation to the ATO in line with their payroll cycle. Amending legislation — contained in the Treasury Laws Amendment (2004 Measures No. 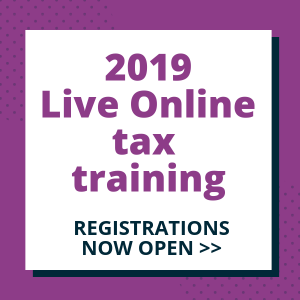 4) Act 2019, which was passed by the Parliament on 12 February 2019 (enacted on 1 March 2019) — extends the requirement to report tax and superannuation information through STP to the ATO at the time of the payroll to all employers from 1 July 2019. There is no need to conduct a headcount on 1 April this year because, from 1 July 2019, all employers will be subject to STP reporting. This is the most significant change to reporting systems for businesses since the introduction of the GST on 1 July 2000. More than 70,000 employers are now reporting through STP. The ATO expects that as STP reporting is extended to small employers, approximately a further 749,000 employers will be subject to STP reporting. Of course, small employers are welcome to — and in fact are encouraged to — start reporting through STP voluntarily before they are required to. More than 27,000 small employers are already reporting voluntarily through STP. Employers yet to start reporting through STP will need to undertake a review of their payroll systems because STP reports are submitted directly to the ATO by STP-enabled compliant software; tax agents cannot lodge STP reports through the tax agent portal. Some employers will easily transition to STP reporting because they already use electronic payroll solutions which will only necessitate the built-in STP-reporting function to be enabled or the software to be upgraded. However, other ‘digitally-disengaged’ employers (estimated to be around 10 per cent of small employers) who don’t currently use an electronic payroll solution will find the transition more difficult, particularly those who employ only a few people and maintain very basic, and manual, business records and systems. Over the past 18 months, the ATO has been working with a group of stakeholders — including tax agents and practitioners, BAS agents and bookkeepers, small business owners, and representatives from the superannuation industry and digital service providers (DSPs, otherwise known as software developers). Recognising early that one of the biggest challenges was going to be extending STP to micro employers (those with four or fewer employees), the focus of this working group was to formulate and design alternative reporting solutions and options for micro employers. The special nature of employers with closely held payees was also considered, as they routinely do not have a regular payroll cycle and often determine or finalise their payroll for closely held payees after the end of the income year, often with their accountant or tax agent as part of the annual compliance process. Special reporting rules have been designed for this specific group of employers. special rules for employers of closely held payees. Our expert presenters, Robyn Jacobson and Michael Karavas, bring their knowledge in the area to ensure that you understand what is involved to implement STP, now that it has been extended to all employers. 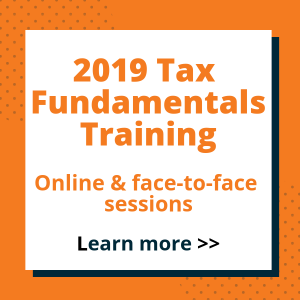 Robyn Jacobson (FCA FCPA CTA Registered Tax Agent) is a Senior Tax Trainer with TaxBanter. Robyn regularly consults with The Treasury, the ATO and the professional bodies on technical issues. She has been involved in the ATO’s STP consultation for more than three years, working with, and assisting, the ATO with the design of the STP legislation, alternative reporting solutions for micro employers, and guidance products issued by the ATO. Robyn co-presented an STP webinar in March 2018 with John Shepherd, Assistant Commissioner at the ATO and Program Lead of STP. Michael Karavas is a Director at the ATO and Design Lead of STP. Michael has over 25 years experience in tax administration with most of the last 20 years focusing on the implementation of new Government initiatives. For two years, Michael was seconded to The Treasury where he was the Policy Lead on the development of STP. Michael also chairs the STP Design Working Group which works collaboratively with a broad range of industry stakeholders on STP design issues. 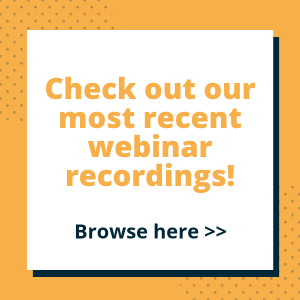 Our webinar is suitable for all tax agents, BAS agents, bookkeepers, payroll officers, and individuals who fulfil a payroll function within a business. Our previous Banter Blogs Are clients ready for Single Touch Payroll from 20 December 2017, Prepare now for Single Touch Payroll from 9 May 2018, and New annual registered agent authorisations for Single Touch Payroll from 9 October 2018 discuss the obligation to report payroll information under STP. as a minimum, the liability for superannuation guarantee (SG) or ordinary times earnings, although other superannuation amounts can also be reported through STP (the actual payment of superannuation to the fund is not reported through STP; see below). an employee-level report — which contains the year-to-date (YTD) amounts of gross salary or wage, PAYG withholding and liability for SG per individual employee. If an employer fails to withhold or report PAYG withholding amounts though STP or activity statements, new measures contained in the Treasury Laws Amendment (Black Economy Taskforce Measures No. 2) Act 2018 (enacted on 29 November 2018) will, from 1 July 2019, deny a tax deduction to the employer for the payment made to the worker (the measures also apply in respect of contractors where no-ABN withholding applies but this is beyond the scope of STP). The denied deduction may be restored if the employer makes a voluntary disclosure to the ATO. Pay event This is the electronic file which captures the salary or wage, PAYG withholding and liability for SG amounts at the time of the payroll. A pay event always involves the payment of an amount to the employee that is subject to PAYG withholding. Accordingly, amounts that do not attract a PAYG withholding obligation are not reported through STP. This could be in line with the periodic payroll cycle, e.g. every week, fortnight or month, or it could involve an out-of-cycle payment such as a bonus. as part of the next payroll cycle. Update event Provides payroll information to the ATO but is not associated with a payment to the employee. This may be used to update YTD amounts to correct information previously incorrectly reported to the ATO, or to provide year-end information such as reportable fringe benefit amounts and reportable employer superannuation contributions. Finalisation declaration The process by which employers ‘lock-down’ the information provided to the ATO during the year and declare that the information reported is correct. The Finalisation declaration must be done no later than 14 July (subject to transitional rules announced by the ATO; see below). On 30 June each year, the status of the employees’ information in myGov changes from YTD to Not tax ready. Then once the ATO receives the Finalisation declaration, the status of the employees’ information in myGov changes from Not tax ready to Tax ready. If an Update event results in additional/new information being provided to the ATO after 14 July, the employer must send another Finalisation declaration to the ATO. This advises the ATO that the previously-finalised information needs updating, which will necessitate the ATO advising the affected employee(s) who may have already lodged their income tax return for that year. The amended Finalisation declaration should be reported to the ATO within 14 days of identifying the error. The employer can amend a Finalisation declaration up to five years after the end of a financial year. Deferral An employer who is not yet ready to report may apply for a deferral seeking to delay reporting through STP. Deferrals apply for only part of an income year and are granted by the ATO on a case-by-case basis. Exemptions An exemption relieves an employer from reporting through STP for a whole income year. Exemptions are granted by the ATO on a case-by-case basis. employers with a withholder payer number (WPN). Further information about these exemptions is available at QC 56187. What type of payments are/are not reported through STP? Payments to contractors are out-of-scope and are not required to be reported through STP (although payments to contractors covered by a voluntary agreement can be reported through STP). Contractors managed within a payroll system may be reported through STP; contractors managed outside a payroll system (e.g. 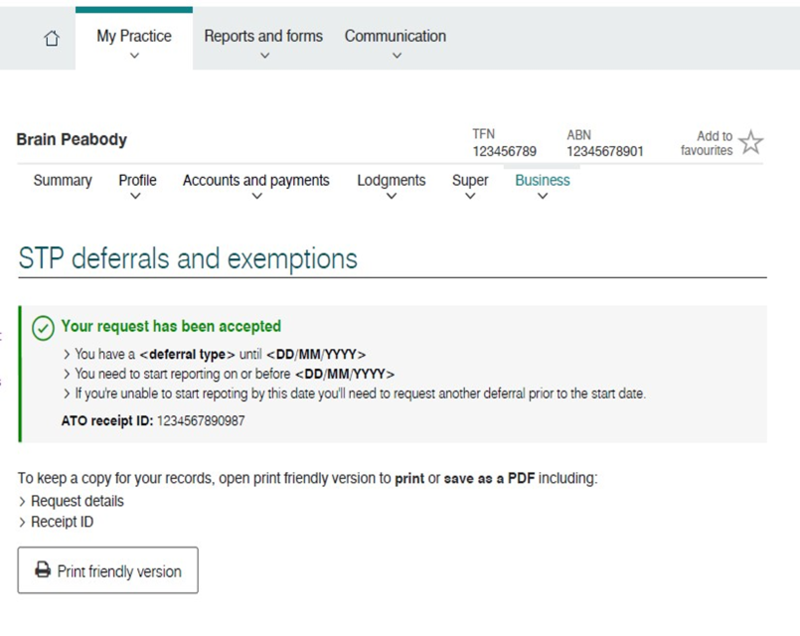 via accounts payable) do not have to be reported through STP. I am a small employer. When do I have start reporting? What if I’m not ready by then? Passage of the amending legislation through Parliament was delayed until 12 February 2019 — just over four months out from the commencement date for small employers. The ATO recognised that it was unrealistic to expect all small employers to start reporting on 1 July 2019, and there needed to be sufficient time for alternative solutions to enter the market. Low-cost and no-cost solutions are currently being developed by a number of DSPs and are starting to enter the market; but more time is needed. In recognition of this, the ATO has announced that all small employers will not have to start reporting through STP until after 30 September 2019. If a small employer can start reporting by 30 September 2019, they do not need to apply for additional time (including for the period between 1 July 2019 and 30 September 2019). If they are not ready by 30 September 2019, they will need to apply for a deferral or an exemption. If a small employer feels that they are still not ready to start reporting through STP by 30 September 2019, the ATO will consider applications for deferral or exemption on a case-by-case basis. The ATO has recognised that some small employers, particularly those who are ‘digitally-disengaged’ may find it difficult to transition to STP reporting. Accordingly, a special range of deferrals and exemptions will be available to small employers, subject to certain conditions. The granting of any relief is on the condition that the business applicant accepts they must take up a digital option at the expiration date. An online STP Deferrals and Exemptions solution is available for employers and their agents. Agents can lodge transitional deferrals for multiple clients in the one request. require assessment will be sent to an ATO officer. If the application is not immediately accepted, it will be escalated and the ATO will contact the employer within 28 days. The ATO may grant an employer additional time to commence STP reporting. A deferral should be applied for via the ATO’s automated online deferral process. You may need to provide additional evidence to accompany your application. Documents can be uploaded through the online solution. The ATO may grant an employer an exemption of up to 12 months to exempt them from reporting through STP for a full financial year. The ATO will assess whether to grant an exemption on a case-by-case basis. An exemption should be applied for via the ATO’s automated online deferral process. You may need to provide additional evidence to accompany your application. Documents can be uploaded through the online solution. they have other extenuating circumstances. Relief in the form of less frequent reporting will be available for micro employers (four or fewer employees), subject to certain conditions. If granted, the micro employer will only be required to report through STP on a quarterly basis instead of at the time of the payroll. This quarterly reporting arrangement will be available for two years until 30 June 2021.
they have closely held payees. The ATO has been working with the DSPs to design and develop a range of alternative no-cost and low-cost STP reporting solutions which will be available in the market from early 2019. These solutions will best suit micro employers (with one to four employees) who need to report through STP, but do not currently have payroll software. do not require the employer to maintain the software. These solutions may include mobile apps, simple reporting solutions and portals. The ATO publishes a list of these products (the order in which they are listed has been randomly generated and does not imply any preference or endorsement by the ATO of the suppliers listed). During consultation, the ATO came to understand the impact that STP would have on employers with closely held payees, who routinely do not have a regular payroll cycle and often determine or finalise their payroll for closely held payees after the end of the income year, usually with their accountant or tax agent as part of the annual compliance process. trustees or beneficiaries of a trust. They access funds from the business during the year and often don’t classify them as salaries or wages (e.g. by putting it to a loan account before reclassifying an amount as wages or a director’s fee after year-end). This means that they cannot report real-time transactions through STP. an unpaid present entitlement (UPE) account, or use any funds or benefits received that are not recorded as a withholding event. Accordingly, special reporting rules have been designed for employers who have closely held payees. 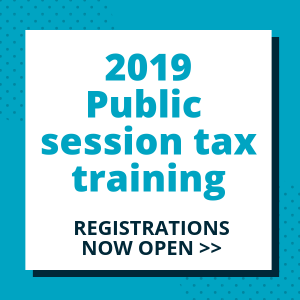 for the 2019–20 and later income years — 14 July each year. In providing an administrative concession for small employers who have closely held payees, the ATO has recognised the existing concession for lodging payment summaries by the due date for lodgment of the payer’s tax return. they have an extended due date for the Finalisation declaration — these employers will need to finalise their STP data by the due date for lodgment of the closely held payees’ tax return. This concession is only available for closely held payees. The standard real-time STP reporting deadlines (and 14 July for the Finalisation declaration) apply to arm’s length employees. The employer will have to be registered for PAYG withholding. those who do not make a genuine attempt to lodge under STP. In exchange for allowing these employers to report on a quarterly basis, there is an expectation that they will make a reasonable estimate each quarter of amounts paid to closely held payees. vary the previous year’s amount within 15% of the total salary or director’s fee for that year. How do I start reporting through STP? Do I have to register for STP? No, employers do not have to register for STP. Once the employer lodges their first STP report, the ATO will know that the employer is now reporting through STP. I will start reporting through STP on a date other than 1 July. How do I report through STP part-way through a financial year? start STP reporting with zero YTD balances and give payment summaries to all the employees (current, inactive and terminated). Lodge a PSAR for payments made before the first STP pay event. How is superannuation reported through STP? Under STP, the employer does not report the payment of superannuation to the ATO. This is because this information is already being captured and reported to the ATO via the Member Account Transaction Service (MATS) report (these reports are lodged with the ATO by APRA-regulated superannuation funds when they receive contributions). STP requires the employer to provide, via the employee-level reports, the liability to pay SG per employee based on 9.5 per cent × their ordinary times earnings for the pay period. Under STP, the employer is required to report either the YTD liability for SG or the employee’s YTD ordinary times earnings, or both if the software allows. This information is then matched to the data received from the funds via the MATS reports to assist in identifying non-compliance with SG obligations. Employer-contributed amounts pursuant to awards etc. In some industries, pursuant to an award or enterprise agreement, the employer may contribute more than the standard 9.5 per cent, say 15 per cent, of their employees’ ordinary times earnings. Often the employer’s payroll system does not break up the contribution into the standard SG amount (9.5 per cent) and (in this example) the additional component of 5.5 per cent. The ATO accepts that STP can report the liability for the entire 15 per cent contribution. If, however, the payroll system separately identifies the components, the employer can choose whether to report the additional component in addition to the standard 9.5 per cent SG amount or just the SG amount. just the standard SG amount. ensure that SG is paid on the pre-salary sacrifice base by requiring salary sacrificed amounts contributed to superannuation to be included in ‘ordinary times earnings’ for SG purposes. The Treasury Laws Amendment (2004 Measures No. 4) Act 2019 which contains the STP amendments extends the STP reporting requirements to include any salary sacrificed amounts that would have constituted ordinary time earnings or salary and wages had they been paid directly to the employee. Requiring that sacrificed amounts be reported under STP ensures that the Commissioner has visibility of all amounts that are relevant to working out an employee’s pre-salary sacrifice base and their SG entitlements. Accordingly, for STP purposes, the amount reported by employers will include salary sacrificed amounts contributed to superannuation because they will be taken to form part of ordinary times earnings. Salary-sacrificed amounts in the form of fringe benefits do not affect the calculation of ordinary times earnings and are therefore not reported through STP. How do I report year end amounts such as RFB and RESC? Under STP, the employer has a number of choices as to how they report to the ATO the annual Reportable Fringe Benefit Amount (RFBA) and Reportable Employer Superannuation Contributions (RESC) (RESC are additional to the compulsory contributions an employer must make). provide YTD information on RFBA and RESC through an update event any time up to the due date of the Finalisation declaration (generally, by 14 July). If the employer can’t, or chooses not to, report these amounts through STP, they must provide the information to the employee on a payment summary (by 14 July) and provide the ATO with a payment summary annual report (PSAR) by 14 August. Do not include amounts on a payment summary that are reported through STP. When an employee commences employment, the existing process of completing the employee commencement forms has been streamlined through STP. the employee can complete the paper forms which are lodged with the ATO by the employer. Further information is available from QC 57579.
the declarer is authorised to lodge the approved form. The process for clients to authorise their registered agent to act on their behalf for STP lodgment purposes has been streamlined to avoid a declaration having to be obtained every single time there is an STP lodgment. The STP engagement authority allows eligible employers to provide this to their agent once a year instead of at each pay event. Further information is available in our Banter Blog titled New annual registered agent authorisations for Single Touch Payroll from 9 October 2018 or from QC 56773. How does my software connect to the ATO? through a sending service provider (SSP) — you do not need to contact the ATO to set up a connection, the SSP will do this for you.